This is a video review of the Lionel Brass Hybrid Mikado that was offered by Lionel only on the Lionel Store. There were 3 models to chose from and we were lucky to have 2 of them. These are limited editions and were close to sold out when we shot the video. 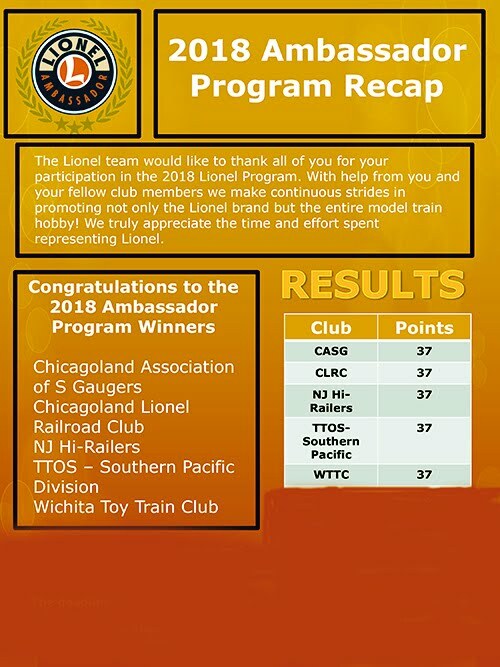 A video review of the Lionel Delaware Lackawanna and Western LionChief™ Plus 4-6-0 Camelback #1035 is now up on our Facebook site. Take a look at Ben Fiorello and Kevin Martin as they review and demonstrate this fine little engine. Earlier in the year, Lionel cataloged (in the 2014 Signature Catalog) and offered the 6-29989 PFE 3-pack. I had ordered one of the Big Boys I decided to purchase two sets because of the sound feature and because the Big Boys were built to order. These are perfect to start building my collection of Union Pacific Big Boy locomotives and boxcars. When you open the master carton the first thing that stands out is the blue box with the white lettering. 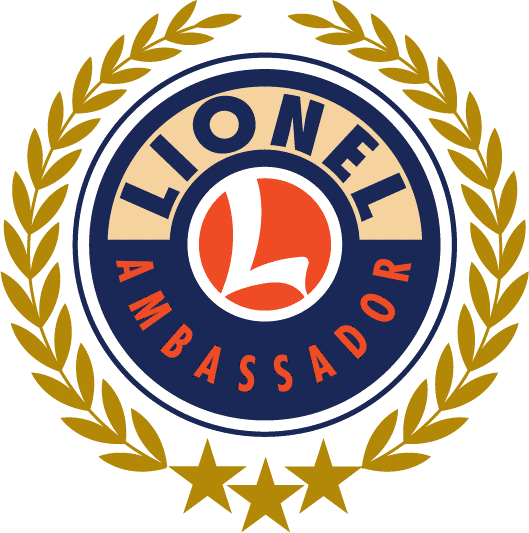 The Lionel logo is a light grey. The packing graphics are identical to that found on the UP Big Boy box (picture 1). They are sharp, crisp and clear. The set comes with three new road numbers. The Union Pacific and Pacific logos pop out nicely off the car bodies and the graphics are crisp and clear. For those of you that weather your rolling stock think twice about it before proceeding. I did a quick Internet search to see if I could pick up another set. I was successful but at a higher price. These were part of Lionel’s’ build to order program and my master carton boxes were labeled 305 and 772. This indicates that these should be a highly desirable sought after product. Let's get to some of the features that are built into the 3 car set. To take advantage of all the TMCC and Legacy features, you will need to program the sound equipped Vision Steel-Sided Reefer car. This is a very simple task. If you have don't remember the steps refer to the Owner's Manual, page 4, this walks you through the process. Using the Cab-2 Remote, you will have to program the Vision Reefer to be set for Freight Sounds. Located on the undercarriage of the Reefer are the Program / Run and the Min / Max Switches. The Min / Max switch controls how loud the scraping and banging of contents found in the reefer car will be as it traverses your layout. Sliding the button to the Min position turns off the background noise and motion sounds (picture 2). A very cool and unexpected feature is the ability to add more than one sound-equipped reefer to your consist. This really makes for added realism and enhances the fun of running them. Many of the features are activated through the handheld. The Baby Fat Boy speaker takes the sounds to a new level. I ran the unit around my test layout and was pleased with the results. You can clearly hear the brakes, the banging around of contents and the scrapping. The volume changes with the speed of the engine and where it is located in the trailing cars. Access to the sound volume can be done through the CAB remote. If you don't have TMCC or Legacy systems you can open the hatch near the brake wheel and using a flat head screw drive to increase or decrease the volume (picture 4). I discovered when reviewing the cars was that you can open the roof hatches. The latched appear to be very fragile so I suggest you be extra careful when opening and closing the roof hatches. However, the visual when running with them up and open is very realistic. Overall, this set is feature rich and makes operating behind any TMCC or Legacy equipped engine more fun. Lionel should consider making available a single Freight Sounds Vision Line Scale Steel-Sided Reefer PFE Boxcar as well as another 3-pack with freight sounds as it would complement this set. If you plan to use Lionel’s site to register your product for warranty, the Vision Line serial number is located on the inside of the door of the powered car. Open the door carefully as the applied details are small. The serial number is on the door frame.